I just can't seem to shake my fondness for 8-bit gaming. No matter how advanced rendering technology becomes these are the characters I appreciate most. In honor of that I've started a graphical series called "2.5D". Here's our friend, Mario, being portrayed in the first installment. As you can see we stayed true to the classic pixel art of the 8-bit era, then we gave it some depth and rendered it under realistic lighting. It's a new twist on an old favorite. 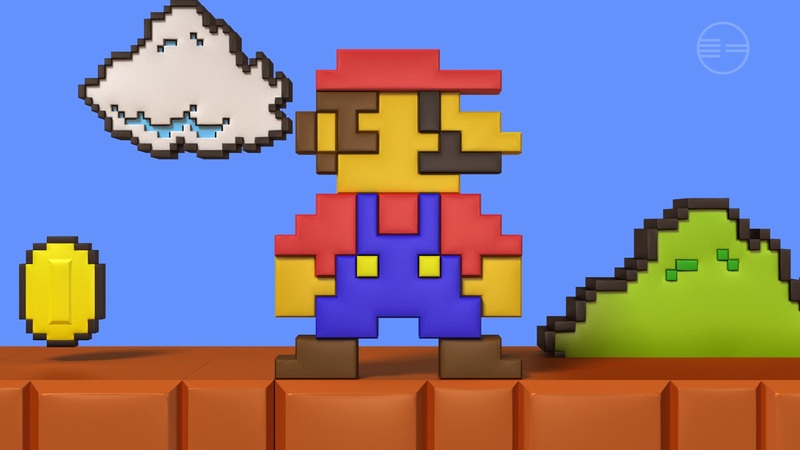 Stay tuned as more of your favorite classic video game characters get the treatment.